Refined sugars like white sugar have a detrimental impact on the digestive system. Sugar overwhelms the pancreas and contributes to the overgrowth of ‘unfriendly’ bacteria, microflora, and fungus like candida albicans. Yacon syrup does not have a negative affect on gut health and yacon actually has quite a number of digestive benefits because of its high Fructooligosaccharide (FOS) and inulin content. 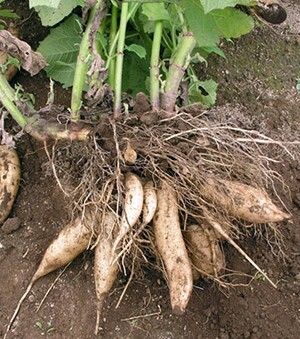 Yacon syrup helps the growth of bifidobacterium and does not negatively affect intestinal microflora. 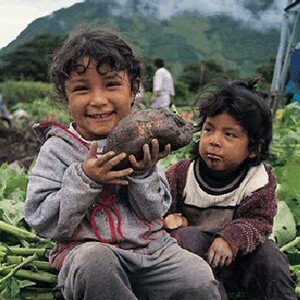 Jerusalem artichokes and yacon are the two highest vegetable sources of Fructooligosaccharide (FOS). FOS is a prebiotic. Healthy microflora in the large intestine use prebiotics as food. FOS rich foods increase the overall gastrointestinal tract health and populate it with ‘friendly bacteria’. These friendly bacteria colonies help the gut in a way similar to yogurt, kefir, sauerkraut, miso, and other probiotic rich foods. 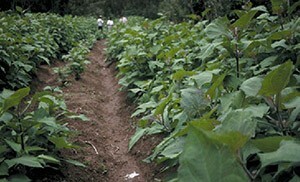 Yacon syrup is high in FOS and inulin which is proven to help constipation which helps reduce the risk of colon cancer. FOS is believed to assist in preventing candida yeast infections due to the positive effect it has on friendly gut bacteria which keep candida albicans yeast under control. White sugar and other simple sugars tend to aggravate candida yeast syndromes and contribute to the growth of unfriendly gut bacteria. Yacon syrup does not contribute to candida conditions and can actually help to control it due to the healthy microflora benefits of FOS.